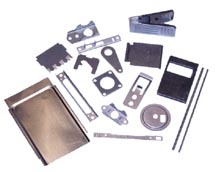 Micro-Technic Tool & Stamping Corporation provides its customers with innovative and cost effective solutions for today's complex stamping needs. As a single source operations facility we are able to take your project from conception to completion under one roof, allowing us full control of all aspects of the manufacturing process. This ensures delivery of high quality products and services on schedule every time. At Micro-Technic we strive to retain the finest talent in the manufacturing industry to ensure that everything we produce meets or exceeds our customer's expectations and requirements. We hope that you will allow us the opportunity to provide you with the same satisfaction that so many of our customers have come to appreciate and rely on.